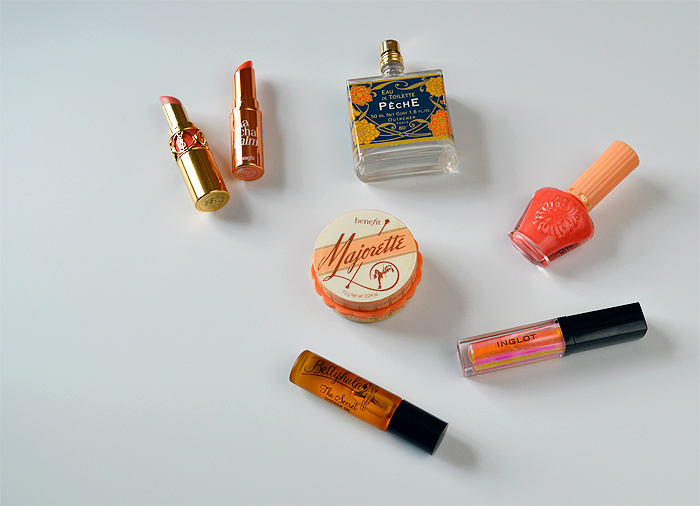 Perfect Peach Beauty Products for Spring - Sugar, Darling? I think I have a peach switch in my mind that automatically flicks to on as soon as the first Spring sunshine shows its face. I never wear peach in the Autumn or Winter, it seems vulgar and inappropriate to wear something so pastel-tastic when nature is turning everything rich and jewel toned. No matter when your peach craving hits, here are a few of my favourite pieces that you might like to try too. Benefit Majorette Cream to Powder Booster Blusher - £23.50 Ah yet more glorious packaging from Benefit and I'm pleased to report that the product is just as sweet. 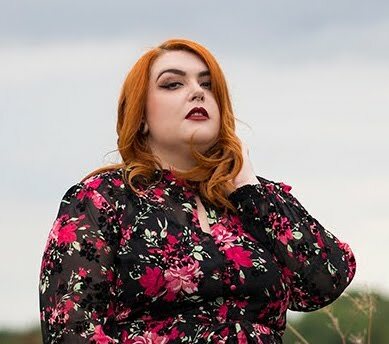 Cream blusher are not usually my thing as my blemish prone skin means they are hard to apply in a natural looking way and it tends to slip when I get shiny later in the day but neither of these was a problem with Majorette. It's actually built as a 'blush booster' so something to put under another blush to make it more bold and opaque, but I like it on its own as I feel it gives a nice healthy summery glow. It also has a fruity peachy scent, how perfect! 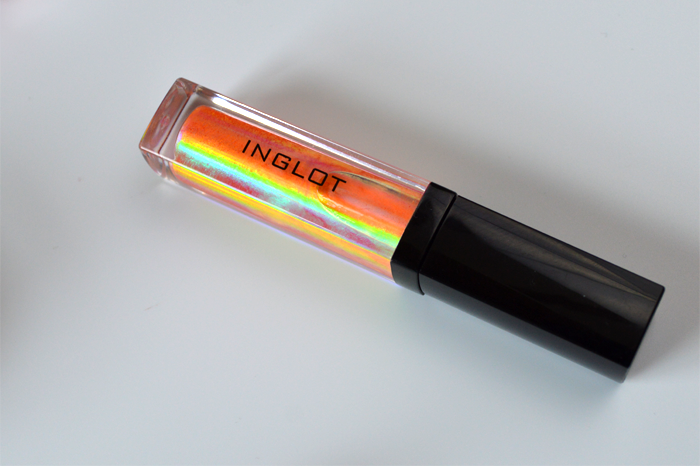 Inglot AMC Lip Gloss in Shade 545 - £13.00 This stuff is pretty darn amazing as you can see. According to the Inglot site the formula contains liquid crystals that react to the skin colour underneath to creating a stunning 3D effect. It comes in a range of colours but I adore this peachy toned version best of all. I have to say as well as looking amazing this is a really lovely formula, not too sticky and it has a lovely texture so it goes on smoothly and stays comfortable and in place for as long as you let it. I very very rarely wear lip glosses but this one is just too good not to have in my collection. Paul and Joe Beach Baby Collection Nail Polish in Rio 035 - Unfortunately this was a limited edition shade so I do apologise for sharing something you can't get anymore, but there is an equally lovely shade called Coral Necklace - £12.00 that you can still get hold of! As is always the case with Paul and Joe varnishes this is a lovely formula with great application and opaqueness of colour, well worth the price tag. Bettyhula Secret Wonder Oil 10ml - £6.25 This is a beautiful mix of natural oils and vitamin E in a wonderful portable little rollerball bottle. I like to keep this in my handbag so it's always there when my skin needs a bit of extra kindess. I use it for so many things - on my cuticles, on my elbows if they get dry, on my feet when they get a little dried out from wearing sandles all day in the Summer and even on my face as it seems to calm redness really well. It really is a handbag staple. Outremer Peche Eau de Toilette 50ml - £12.99 Nothing makes me feel as Summery as the smell of fresh fruit, peaches and watermelon in particular. This lovely and very purse friendly perfume captures that smell and lets you wear it all year long. For the price the lasting ability of this scent is really impressive and I just adore the 1920's style packaging. Benefit Cha Cha Lip Balm - £14.50 A girl should never be without a good lip balm. Your pout is an important thing you know and you should take care of it, especially in the sun or in the cold. 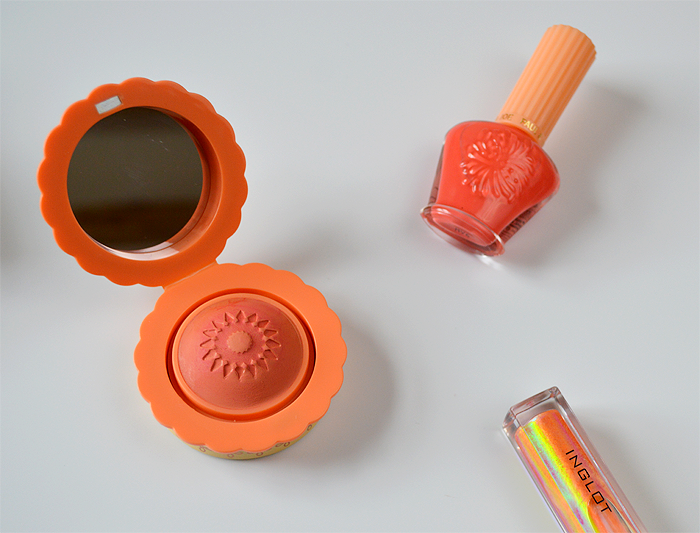 This gorgeous tinted offering from Benefit includes mango butter in the formula and really moisturises your lips leaving them plump and inviting and with a peachy flush. Perfection! 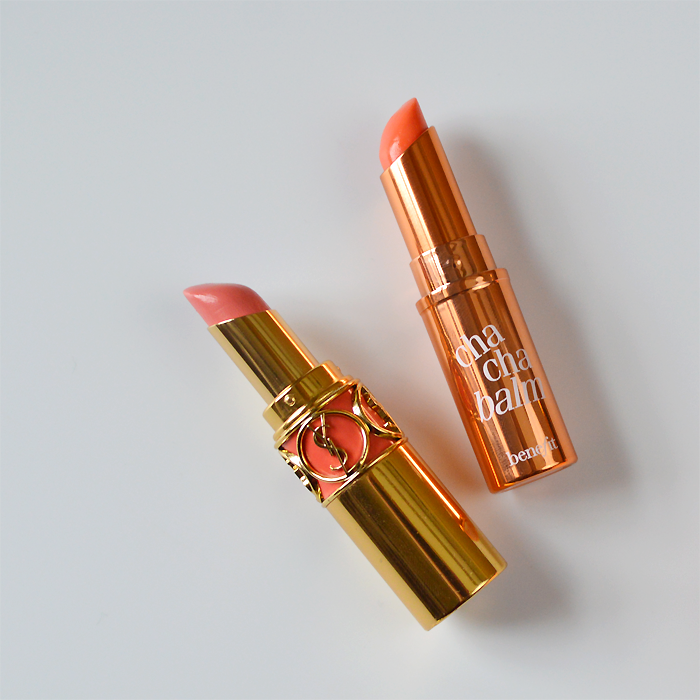 Yves Saint Laurent Rouge Volupte Lipstick in 13 Peach Passion - £26.00 I've written about this lipstick before but I just had to include it again as it's so dreamy. Such an incredible formula, it's rich and creamy and highly pigmented but feels so light and comfortable on the lips with a lovely sheen to it. 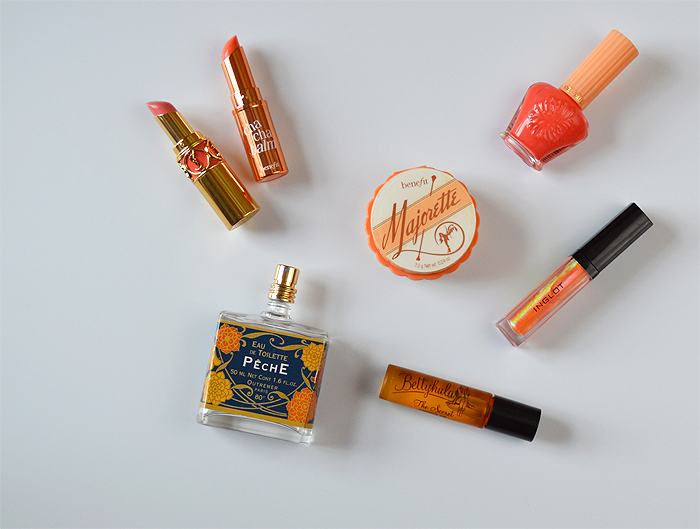 It also smells incredible and comes in one of the best lipstick tube designs going so you'll always be proud to whip it out of your clutch bag.